Peters Racing is the leading Silver Star team in the Australian Drivers Championship. With two Silver Star victories in 2001 and 2003 and a healthy lead in the 2004 series they are the team to beat. Success has been achieved through technology development, meticulous preparation and professional operation over the last five years. In 2004 the team will expand to include a second car and accept the challenge of rising in the Gold Star rankings. 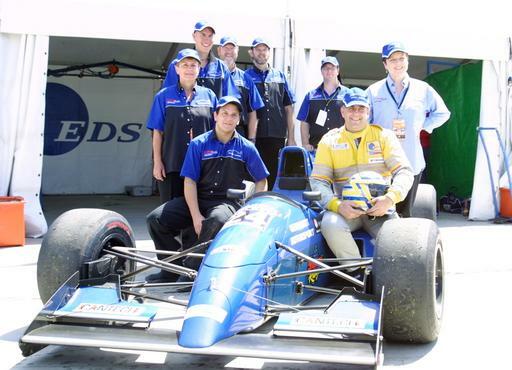 The team is based in Adelaide Australia where it is supported by a number of local specialist aerospace and motor racing businesses. Cantech Precision Engineering operates one of the most respected aerospace engineering operations in the state and produces low volume parts for jet aircraft, scientific instruments and medical specialties. This production environment has been very successful in producing the Cantech/Peters Racing lightweight series of engines that have propelled the team to two championships so far. The largest IT outsourcer in the world EDS provides IT and commercial support to the team and is a great supporter of the class. CL Composites is a South Australian company that produces world class carbon fibre parts for racing vehicles and those parts are also fundamental to Peters Racings� history of reliability. The team�s 'corporate ID' and ongoing corporate relationships is handled by Marketing and Advertising agency, Hothouse. Hothouse is made up of senior partners with global experience in every conceivable communication discipline. The partners have worked on campaigns for the who's who in the marketing world and bring that knowledge to the table to help the team and its corporate partners maximise their presence.